We believe in the powerful combination of authentic conversation, technology, and insight-driven data. We don’t just talk about behavioral change, we track it using the Actionable Conversations™ platform. Actionable Conversations™ is an innovative training and development platform that offers 60 minute value packed sessions that are unique to the specific needs of your team and organization. Because every key business metric is impacted by employee engagement, these highly collaborative conversations, conducted in your workplace with your team, allow you to connect in a new way to strengthen team engagement and ultimately business performance. Actionable Conversations™ take core principles inspired by the best business books. 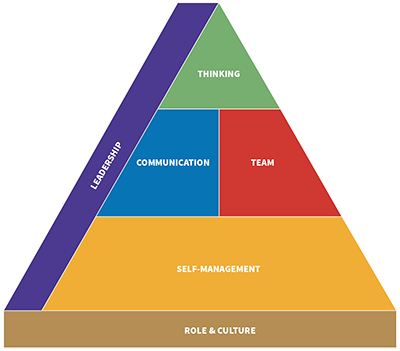 The 40+ different modules allow you to choose sessions that specifically address your team’s unique workplace challenges and areas for growth within six competencies. Actionable Conversations™ provide busy leaders with the tools to have better and more frequent conversations with their teams. Each session provides one idea from a popular business book, which the team uses as a lens to address current organizational or business challenges. Post conversation, individuals commit to one small behavior change (professionally or personally) and they track their own progress via an online dashboard. Actionable Conversations™ are a great complement to the other robust training that organizations typically provide for managers and supervisors. The tools create sustainable learning for teams and enable the leader to easily foster monthly conversations, measure behavior change and determine the impact of that change on the organization.